Mia Khalifa, also known as Mia Callista is a 25-year-old American social media personality and webcam model, best known for her career as an adult performer from 2014 to 2015. After three months, Khalifa left the X-rated film industry to pursue other interests. What is Mia Khalifa’s background? Khalifa was born in Beirut on February 10, 1993, and was only seven years old when her family decided to move and settle in the US in 2000. Reaching America, the family decided to make Maryland’s Montgomery County their new home. Here, Mia lived most of her teenage life. She graduated from the University of Texas at El Paso with a Bachelor of Arts degree in History. In February 2011, shortly after her 18th birthday, she married an American man. How did Mia Khalifa get into the adult entertainment industry? She entered the industry in 2014 when, while working as an assistant at Whataburger in Los Angeles, she was approached by a customer asking if she’d considered working in adult entertainment. Having started acting in October, Mia Khalifa ranked number 1 by December 2014 on Pornhub. No. Mia and her family are reportedly Catholic, and she was raised in that religion, although she is no longer practicing. Is Mia Khalifa related to Wiz Khalifa? No, she isn’t. Mia Khalifa’s real surname isn’t even Khalifa, her actual name is Mia Callista. Also, Wiz Khalifa is from Minot, North Dakota. On Twitter, Mia was tweeted: ‘Are you related to Wiz Khalifa?’ to which she responded: ‘I’m not black’. Has Mia Khalifa received death threats? Yes. She received significant global attention after her career choice was met with controversy in the Middle East, especially for a video in which she performed sexual acts while wearing a hijab. Threats included a manipulated image of a so-called Islamic State of Iraq and the Levant executioner preparing to behead her, and a message warning her that she would go to Hell, to which she replied ‘I’ve been meaning to get a little tan recently’. Mia Khalifa has a net worth of $2.5 million dollars, according to Forbes. Her popularity increased five times by January 2015; a song called Mia Khalifa was released by band Timeflies at the same time as homage to her. Why did Mia Khalifa quit adult entertainment? 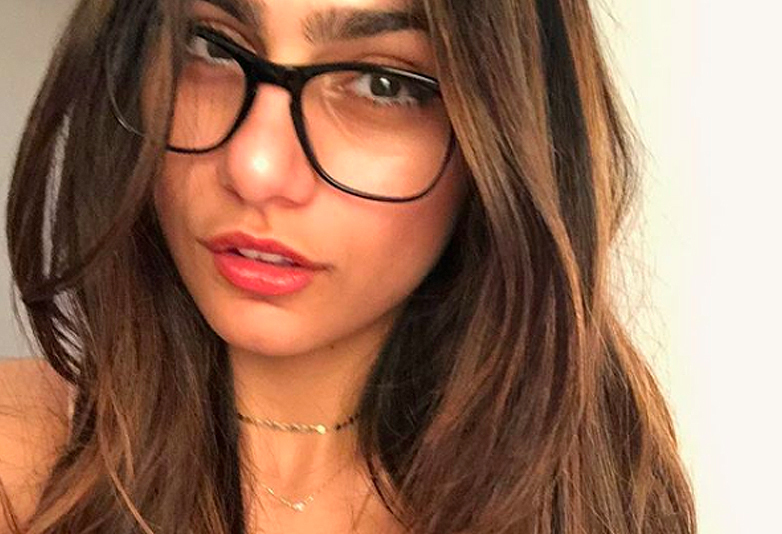 Mia Khalifa revealed that she was quitting the industry in March 2018, owing to continual death threats from the so-called Islamic State (ISIS). The Lebanese-American became one of the top-ranked performers on Pornhub but her work led to condemnation from conservative religious leaders in the Middle East and in her home country – before receiving threats from terrorists. Khalifa also expressed regret for her former work. ‘Looking back on it I don’t know what I was thinking… I was 21 and dumb,’ she told disgraced cycling star Lance Armstrong on The Forward podcast. Does Mia Khalifa like sports? 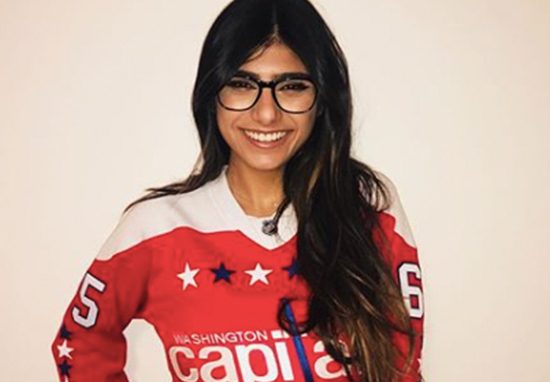 Yes Mia Khalifa supports professional sports teams from the Washington, D.C. area, including the Washington Redskins, Washington Wizards and the NHL’s Washington Capitals of whom her favourite player is reportedly André Burakovsky. Mia is a huge fan of the Florida State University team — Florida State Seminoles an self-proclaimed herself to be their unofficial mascot. For a brief time she co-presented with former NBA star Gilbert Arenas on ‘Out of Bounds’, a daily programme featured on Complex magazine’s YouTube channel. She left the role in February 2018 after two months. Does Mia Khalifa have HIV? In 2017 the internet erupted with a rumour that Mia had HIV, which has turned out to be false. Addressing what she called ‘fake news’, Khalifa told Total Frat Move she is not HIV positive, and she was surprised to find that even close friends thought the bogus rumour might be true. I wasn’t even going to make a statement acknowledging this trash, but because it has gotten so much exposure, it feels necessary.